The black and white photography of Gerry Johansson has been much exhibited and published over the years. Not surprising as Johansson has been on the scene for some time, beginning his career as a graphic designer in the late 1960’s and founding the publishing company Fyra Förläggare (responsible for magazines like Aktuell Fotografi) before concentrating on his own work. Johansson had his first solo exhibition at Moderna Museet in 1982 and now 31 years later we see his most recent, at Malmö Konsthall. Johansson’s work is concerned with the city and landscape, more interested in the footprint and detritus of humans rather than the humans themselves. His images convey a sense of place, he photographs as he walks around a landscape noticing everyday quirks in the world, the cartoonish arrangement of tyres on the white lines of a race track, the black witch hat roofs of a squat house or the drunken sag of a down-at-heel trailer. The photographs are often taken at eye level, with a constant focal length with the processing is still completed using analogue methods in the darkroom They have a sharply brutal elegance, part composed artwork, part travelogue or perhaps cinematic still – suggesting obscure narrative. 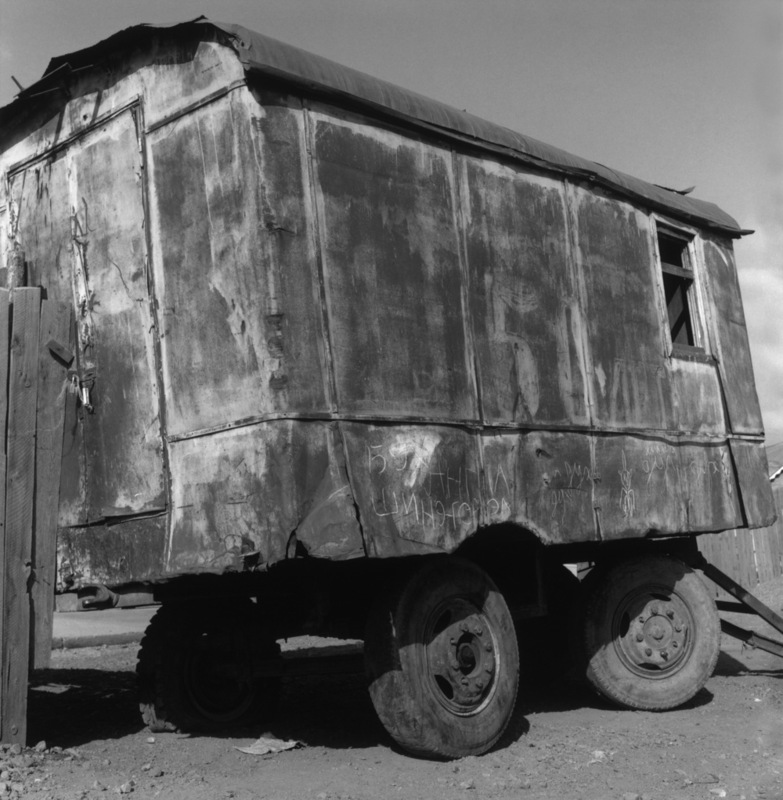 For this exhibition in Malmö, Johansson is showing three photographic series: Ulan Bator, Pontiac and Småland. Ulan Bator was created in 2009 after Johansson watched the documentary film Letter from Siberia (1957) by Chris Marker and travelled to Mongolia to find a street corner which features in a recurring scene in the film. He never found it but kept up his daily photographic journeys and, through the resulting body of images, found an unexpected way to discover the landscape and film as he had originally intended. Pontiac (2011) examines the effects of the global recession on the small town of Pontiac. Part of the crashed automotive industry along with Michigan and Detroit, Pontiac is depicted in its depressed state – abandoned, empty and lost. Småland is less of a finished project and more of a work in progress. He has visited and photographed more than 1,000 locations in Sweden since 1990, adding new ones every year. Small places captured in idiosyncratic detail, Johansson is building an archive of the country. 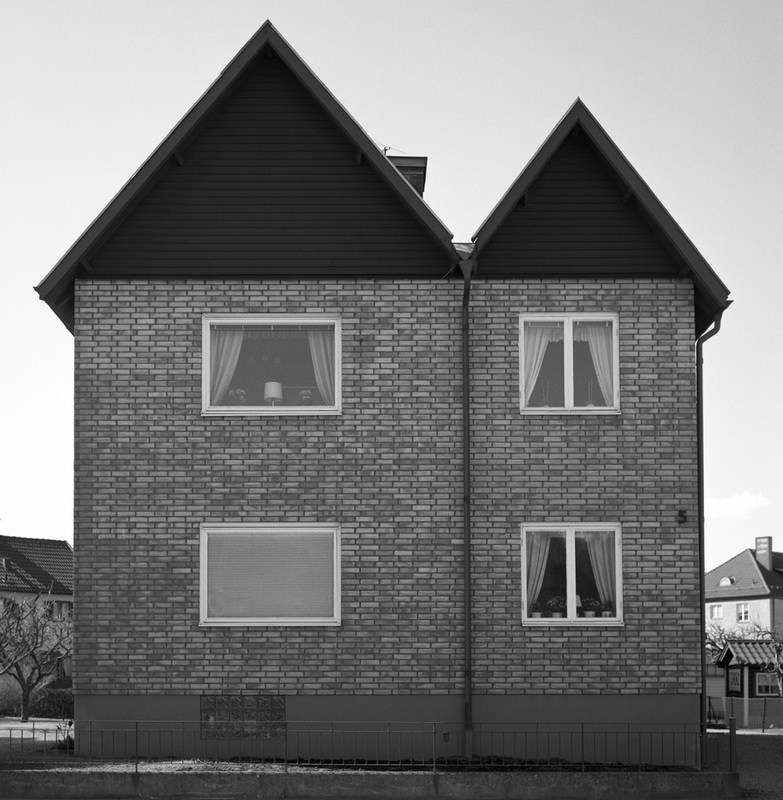 An archive that captures a moment in time, the personality of our roads, streets and fields and also wider issues of the built environment and the social history of Sweden. Gerry Johansson: Photography opens on April 5th and runs until June 15th 2014.